Located in the cozy but lively Greenwich Village neighborhood, The Markle Evangeline Residence houses women studying, interning or working in New York City. Primarily between the ages of 18 and 55, our residents hail from all over the world. In fact, approximately half of our occupants are international, giving The Markle a diverse cultural blend representative of the city itself. The residence is near several subway lines, bus routes and the PATH train, giving our residents easy access to the entire city. A short walk can also get you to some popular areas, including the Meatpacking District, SoHo and Chelsea. These neighborhoods offer a wide variety of shops and restaurants, opportunities for celebrity sightings and spots for fun nights out with friends. 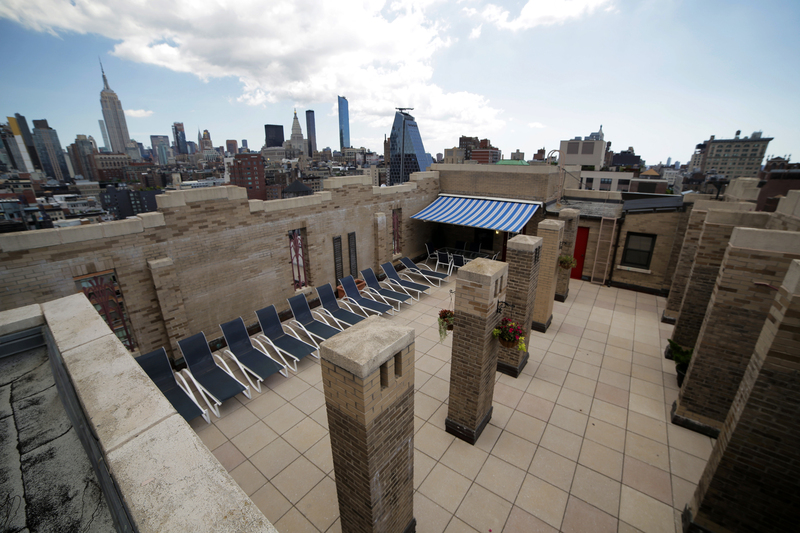 The safety of The Markle’s residents is our first priority, which is why we provide 24 hour security in the building, in addition to amenities such as two furnished meals per day, private bathrooms, laundry facilities, an exercise room, wireless internet, a lounge featuring a large screen television, a study room and a garden terrace with striking views of the Manhattan skyline. 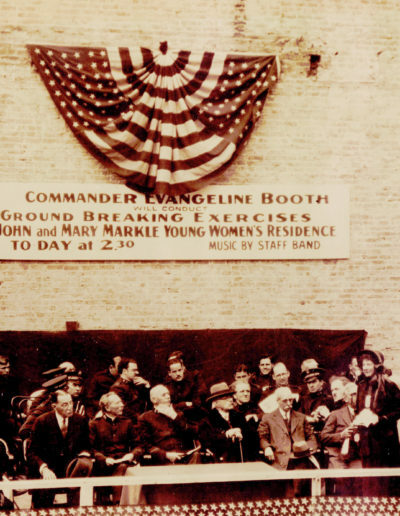 The idea for The Markle began in the 1920s as just a dream for Evangeline Booth, then-commander of The Salvation Army. She believed women moving to New York City needed a safe, comfortable home amidst the chaos of the city. 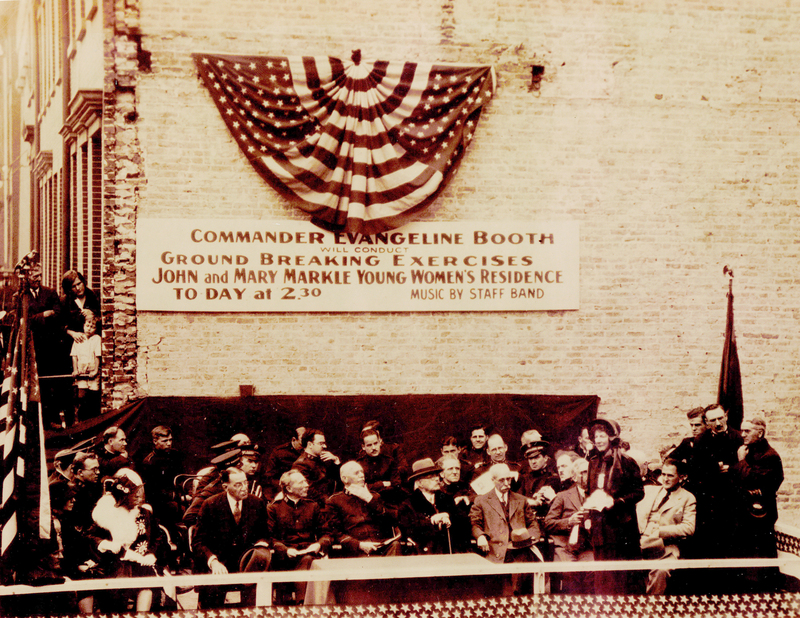 Unfortunately, as Booth shared with philanthropist John Markle, the funds to make this dream a reality were simply not available. Casually, Markle asked how much money was needed. The answer: $500,000. “I’ve got it right here in my jeans!” exclaimed Markle famously, pulling out a checkbook. 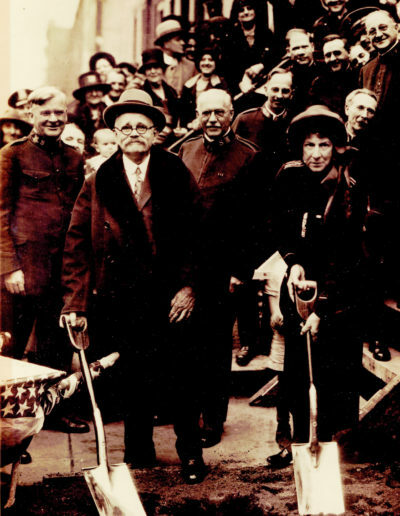 The 17-story John and Mary R. Markle Memorial building was dedicated in 1930 to Markle and his beloved late wife, and is still owned and operated by The Salvation Army. 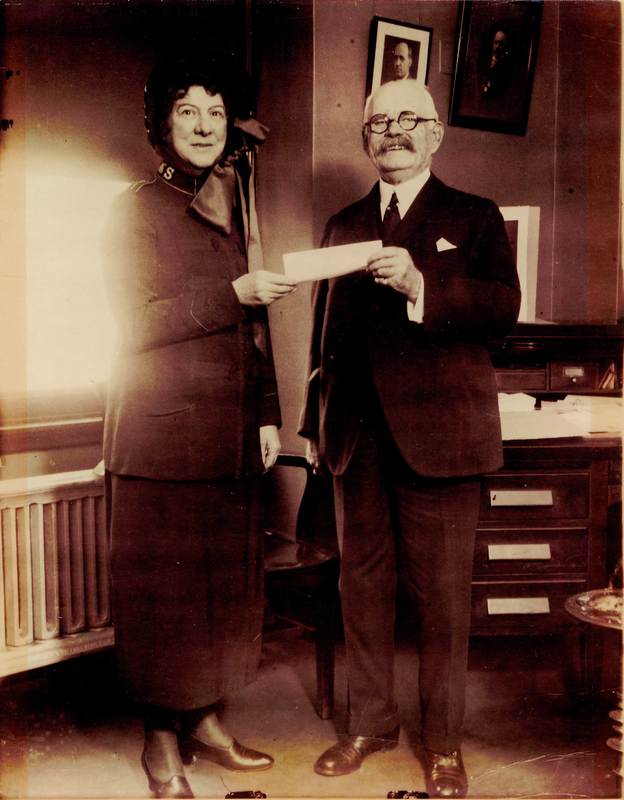 The Markle has housed women of all ages and nationalities for over 85 years. 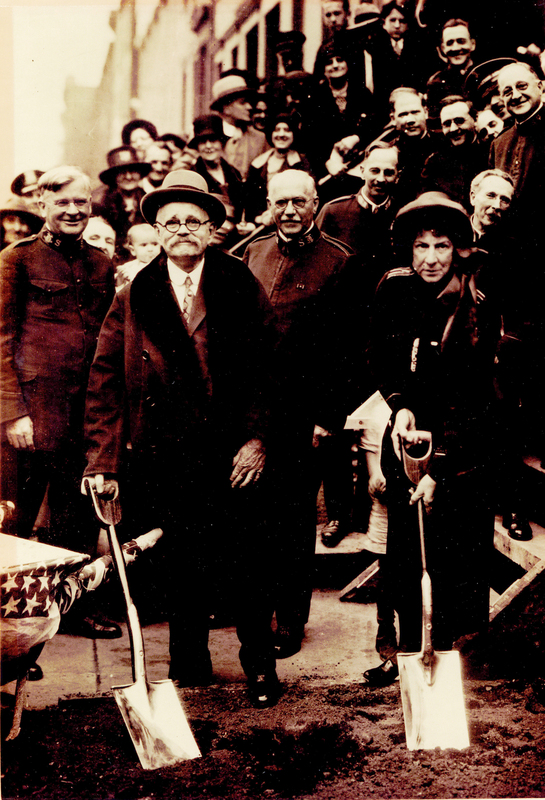 Photo depicting the ground breaking for the John and Mary Markle Young Women’s Residence October 28, 1928. To find out more about your local Salvation Army in New York click here.